Which is the odd car out and why? My guess is that this has something to do with engines. 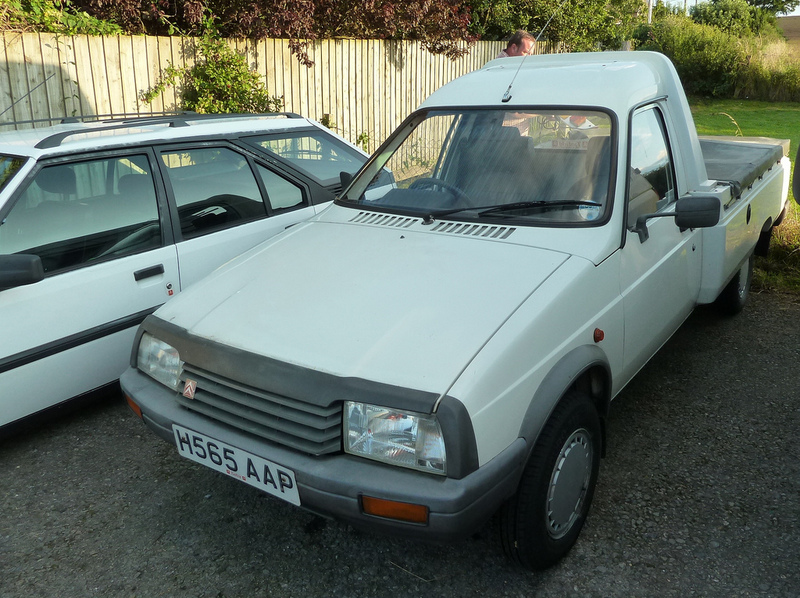 The Nissan had an A series, the Austin a B series, the Isuzu was available with a C series diesel while the Citroen had an X series from Peugeot making it the odd one out. If not, then the Citroen is the odd one out because it’s odd. The Austin and Datsun power units are related, but the answer has nothing to do with engines. The car here with a forlorn grey droop snoot is the only one with independent rear suspension, and unpowered at that being FWD on a Peugeot platform. The others plod on with live rear axles and cart springs. Isuzu rediscovered semi-elliptics after making the Bellett with a form of IRS that mimics the 1964 year only Corvair when GM literally spent $6.00 on a “camber compensator”. Aftermarket ones for earlier years were only $20 including all the fixin’s. Excuse me, it’s New Year’s Eve here. Best wishes! Nissan produced the Datsun 510 for years with double-jointed rear axles for its almost fully trailing arms, then flopped back onto leafs for the wagon versions. That original 510 was very nice, drove one for two weeks on a road trip. Belletts were assembled here in Canada for a while, along with half a dozen other spots around the world, but looked weirdly insectoid. The Austin shown needs new rear springs and is amateur hour in the styling department, but I prefer even it to the Visa. The Datsun 1200 came standard with Rust Attractment Module and structural integrity approximating a wet cardboard box – slam any door and the whole side visually quivered in pain. A feature of that Sunny breed well into the late ’80s. It’s an insightful response, and not short on opinion, but not the one I was looking for. Incidentally, the locally made Australian Bluebird 200B (810 Series) got a 4 link with coils and live axle rear suspension set-up not shared with anything else. It was an enormously well liked car, which broke hearts at Toyota, Ford, and Holden. Anyway, the answer is not at all technical – that’s all I’m giving away. These Datsuns must have been popular in the Antipodes, because the Wikipedia page on the Bluebird is dominated by those models. Compared to the sales in the US in hundreds of thousands, Aussie models seem over-represented. No doubt an enthusiast project. The 810 never sold well here until it morphed into the Maxima. Datsun/Nissan became and remain to this day bottom of the barrel stuff but at least they don’t rust any more. The 1970 or so 510 and 240Z cars were often rusted away structurally in four to five years, much like early Hondas. But the Datsuns failed in the sills, a rather nasty problem when only what remained of the floor pan and the roof held the front and back together. Okay, the Cambridge is left hand drive. The others are on the UK side judging by wiper positions, but Austin couldn’t be bothered shifting them over for most export markets. They were skimpers on press dies. I’m waiting for Westminster Part III. Love that thing. Solid old bus, cart springs and all, but whatever and however I cannot explain, the 4 main bearing C series engine and I are sympatico. The Australian present day bespoke all-alloy version is superb to look at and no doubt goes like stink. But there is a beserk AH 3000 at Zolder driven by Mark Schmidt on YouTube that revs to 7200 and makes me feel positively giddy! The Visa is the only one not offered as a pickup? Answer at 11:59 tonight if there’s no winner. One last try – the solution might be related to the commercial variants of these vehicles. All four of them were declined as a transporter, however the Visa is the one that was not offered as a pick-up. This one’s by Auvergnois coachbuilder Teilhol, and had official status, being sold through the Citroën dealer network throughout Europe. The Nissan may have been available as a panel van in some markets: the succeeding B210 (120Y) was certainly available in this form. I should say that James and Simon are very much heading in the right direction. Consider the principle of ‘odd man out’: Three share a particular distinction, the fourth does not have that distinction, indeed the opposite of it might apply. It seems that all these cars have been outlived by their van/pick-up derivates, except the Isuzu, where the passenger car was built until 1983, but the pick-up was already replaced in 1980 by a new generation. Simon, that’s what I was looking for. The answer is that all four cars also had light commercial variants, which in three cases remained in production for many years – in one case 35 – after the passenger version. 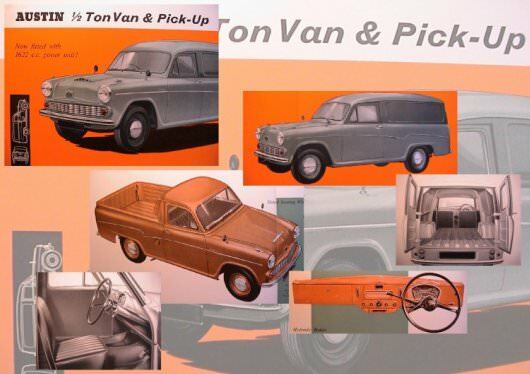 The Austin A55 saloon was on sale from 1957-59, but the half-ton van and pick-up, introduced in the same year, continued in production until 1972, when they were replaced by Morris Marina derivatives. The Citroën Visa hatchback arrived in 1978 and production ended in 1988. The commercial C15 derivative was a relative latecomer. 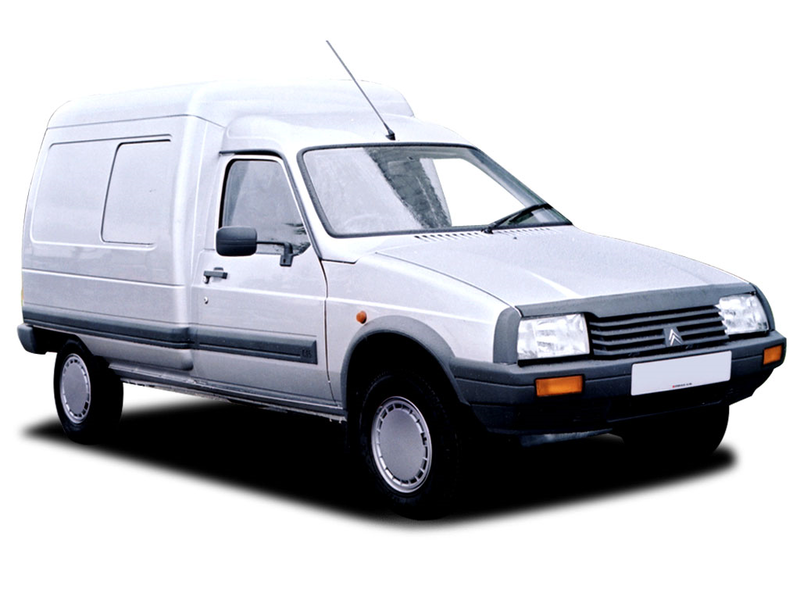 It was offered from 1984, and continued in production for 21 years until it was replaced by the Citroën Berlingo in 2005. 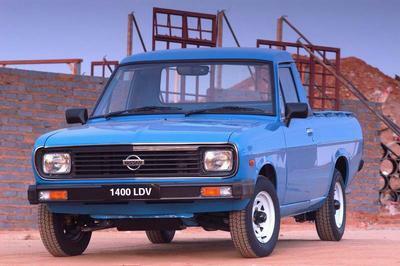 This feat was surpassed by the pick-up variant of the 1970-73 Sunny B120, which was manufactured in South Africa until late 2008. The odd car out is the Isuzu Florian. 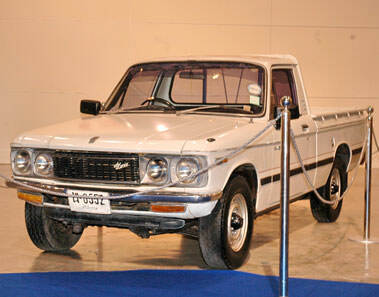 Its pick-up variant, the Faster/ KB was made from 1972 to 1980. However the passenger car was in production from 1967 to 1983, around twice as long as the pick-up.